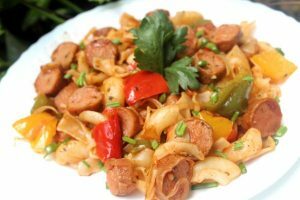 Bell Pepper Sausage Pasta is rich and flavourful pasta and is very easy to make. 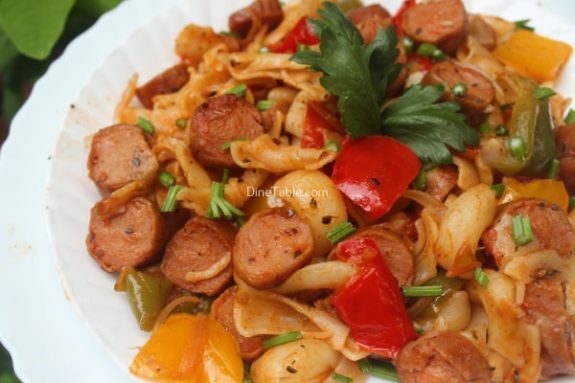 Pasta is always comforting and delicious and can be made with just a few simple ingredients. 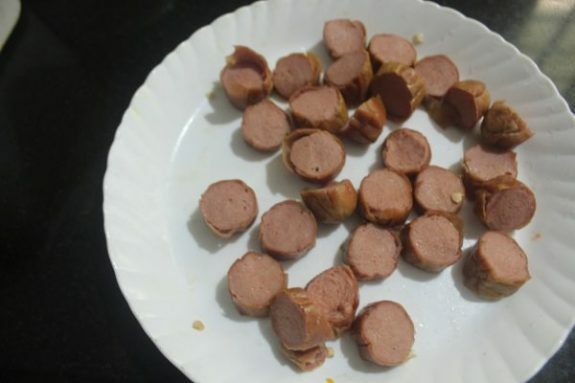 Sausages are mostly pan fried, broiled and barbecued. 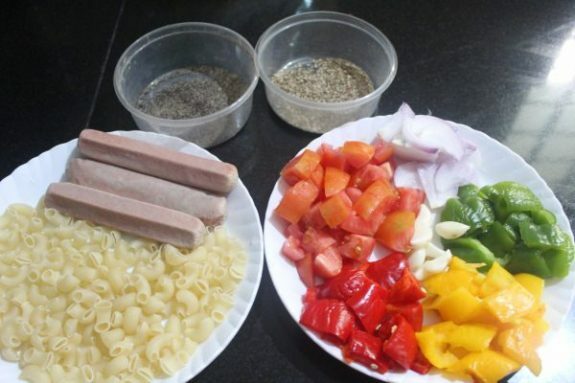 Sausage is the processed meat which is consumed along with the breakfast salads. Vitamin B12 is essential for the proper functions such as repair, formation and maintenance of red blood cells. This vitamin helps to maintain the health of nerve cells. It maintains the strong nervous system. Red peppers contain more than 200 percent of your daily vitamin C intake. Besides being a powerful antioxidant, vitamin C helps the proper absorption of iron. Red bell peppers are a great source of Vitamin B6 and Folate. Both these vitamins and minerals can help prevent Anemia. 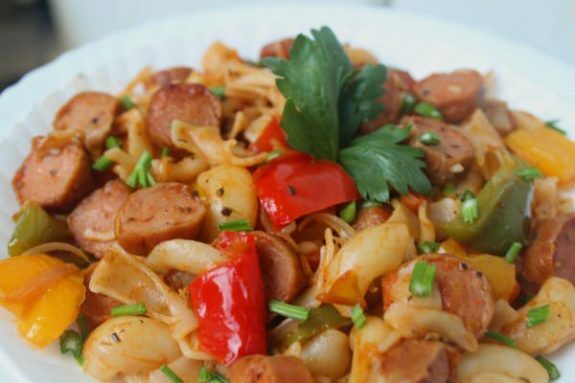 Try this delicious pasta at home. Boil 400 ml of water in a large pan and add little salt into it. 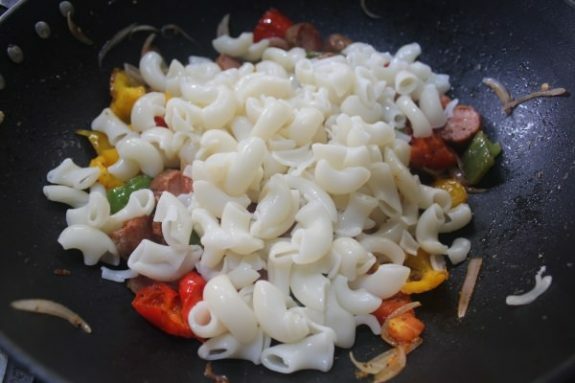 Once the water starts to boil, add pasta and cook for 10 minutes. 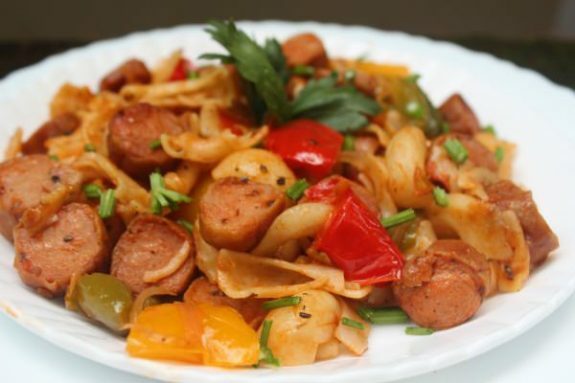 Once the pasta is cooked, strain water and toss the pasta with 1 tbsp of vegetable oil, so that it does not stick. Keep it aside. 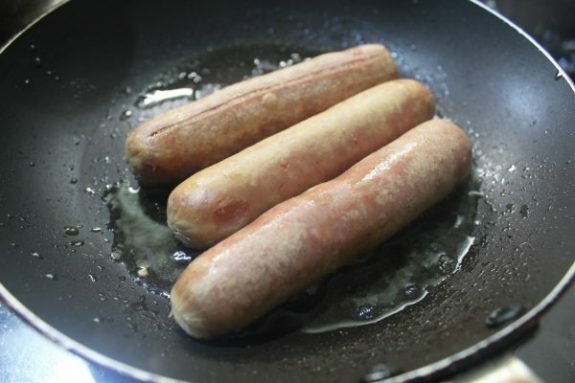 Heat 1 tsp of vegetable oil in a pan and fry sausages for 3 minutes. Then slice it into small round pieces and set aside. 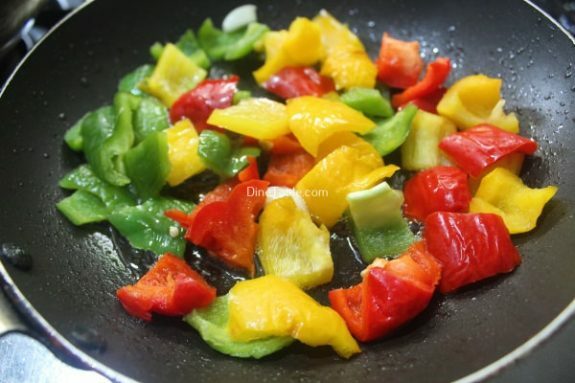 Heat 2 tsp of vegetable oil in a pan and saute chopped bell peppers, onion and garlic for about 5 minutes on a low flame. 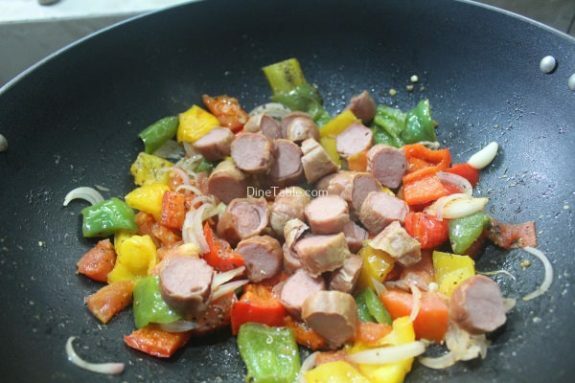 Add chopped tomato, oregano, black pepper powder, sausage pieces into it and mix well. Cook for 5 minutes on a low flame. 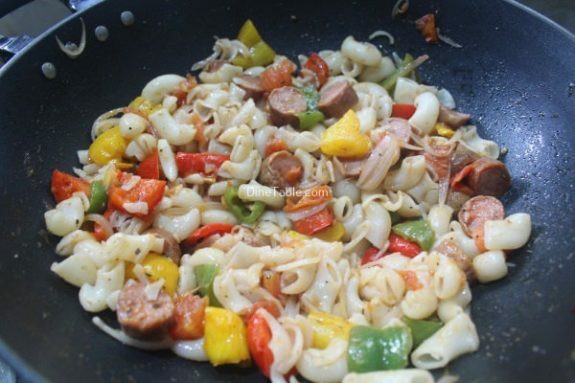 Add cooked pasta and celery into it and mix well. Cook this for 3 minutes on a low flame. Stir gently until all the ingredients are coated on the pasta. Switch off the flame. 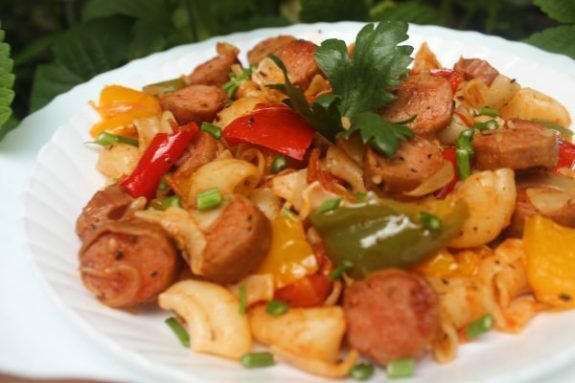 Tasty Bell Pepper Sausage Pasta is ready.